State wildlife officials are searching for a coyote that was photographed walking around Middletown, Rhode Island with a leg trap clamped to one of its paws. 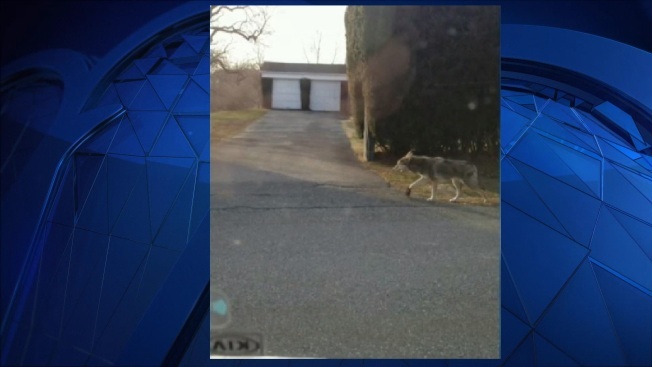 Resident Karen Houston tells WJAR-TV she saw the injured coyote on Monday afternoon near the Portsmouth town line. Wildlife officials hope to tranquilize the animal so they can remove the unlawful trap from its right front paw and then set it free. State veterinarian Dr. Scott Marshall says such traps often lead to gangrene, broken bones and torn tendons. He says the coyote will likely be too injured to be allowed to be released. The person who set the trap could face fines and up to a year in prison.